Elaine's Bargello Jacket is the most challenging of our sweatshirt jacket series. 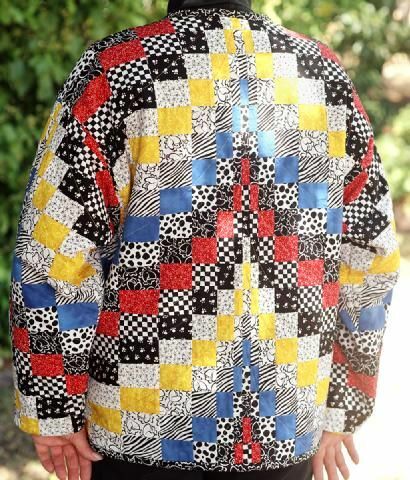 It uses strip piecing techniques to make the bargello design, easy machine quilting to attach to sweatshirt, and hidden pockets to make a stunning one of a kind jacket. This is a good "quilt till you drop" session, retreat project, or two day class. Tall sweatshirts can be purchased on our website.